There is this stall in Ang Mo Kio Ave 1 opposite the Bishan Park that I loves to go for my Teochew porridge. 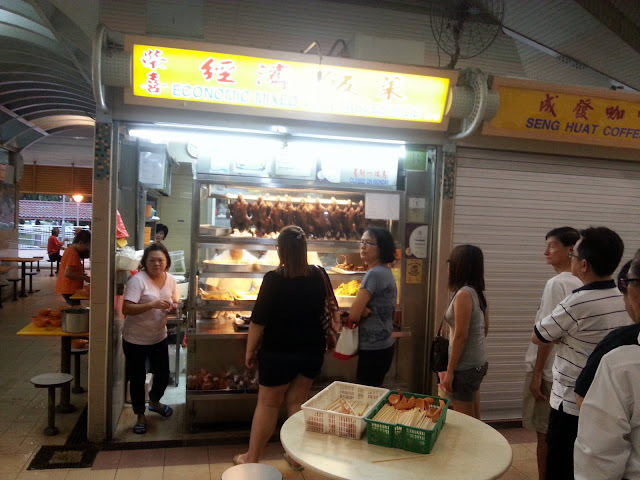 The only problem with this stall is that it opens only in the evening and 1 hour before opening, a queue has already formed up and the wait can be up to 1 hour. So what is so special about this stall? First, it has to be the porridge. There are porridge and there are porridge and this one is cooked the traditional Teochew way. 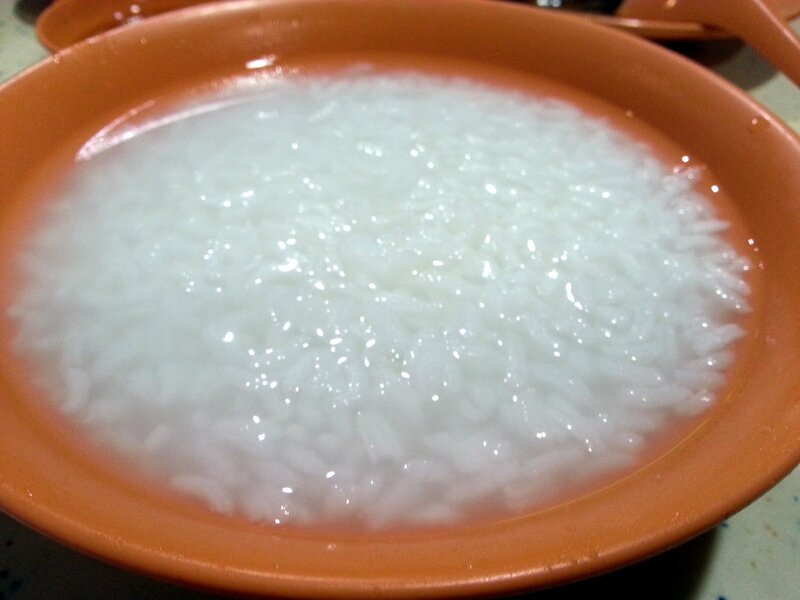 Watery and yet thick enough with the rice grain just "fluffed" out nicely. Just the way I love it. 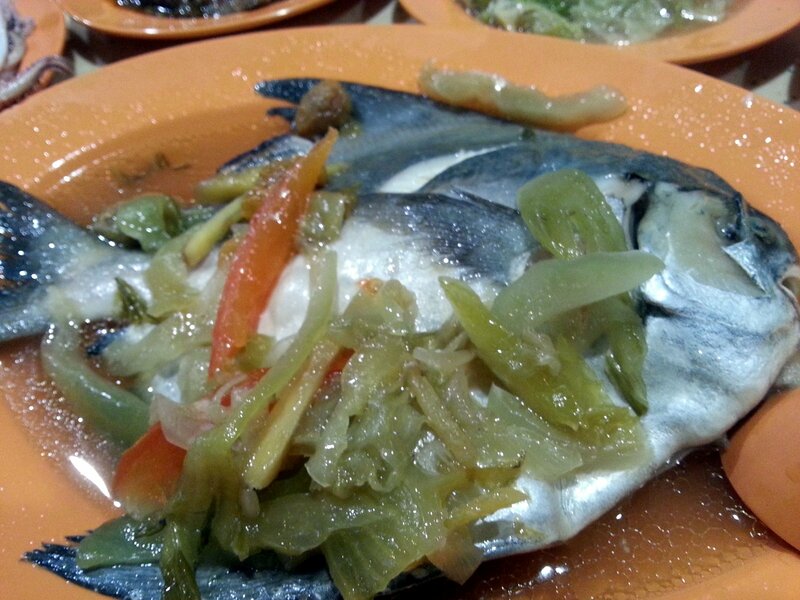 Every good Teochew porridge stall will have steam fish and this stall is no exception. It has all sort of steam fish. Not for them the steam and then air dried fish but big freshly steam fish with ginger, cut chilli and kiam chye. Very traditional. And the best thing about this? 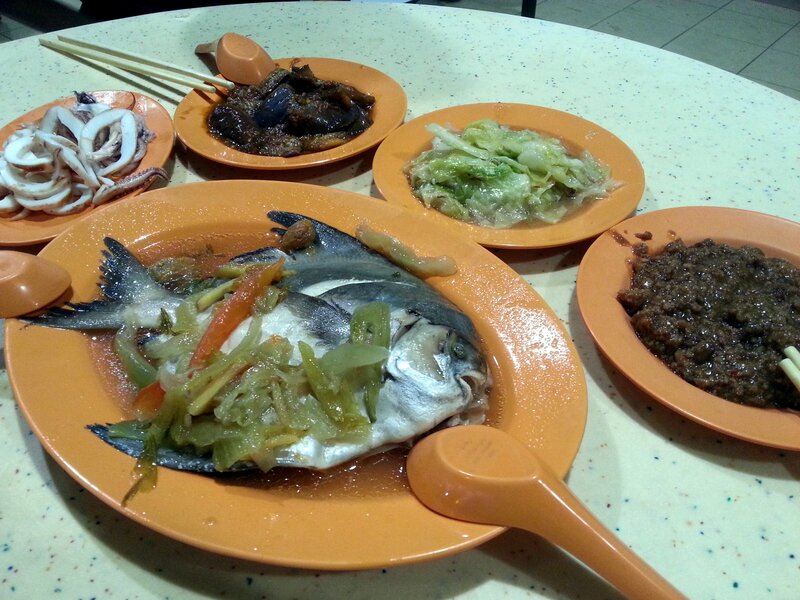 Compared to my other favourite Teochew porridge stall Teo Heng, this is so much cheaper! So if you are at Bishan Park in the evening, why not cross the road and try this. But do be prepared to queue up.